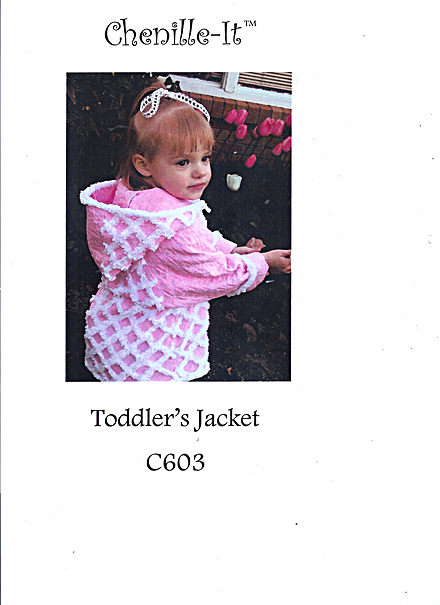 Lattice work chenille design on Toddlers hooded jacket with self quilted sleeves. The turn back quilted sleeves and unstructured fit gives this jacket a long wearing life. Quilted sleeves extend into rounded back yoke detail.